There are generally two parts of fruit/vegetables that have high nutrient levels. Either the parts that are in direct sunlight, they produce good stuff due to the UV / sunlight, typically these parts are higher in antioxidants as the plant protects itself from potentially damaging UV light. The other part is the growing part. These areas can be higher in B vitamins and other nutrients as they are the "active" part of the plant that is undergoing rapid change. Now modern growing systems often grow things in green houses which can have much reduced UV light, and hydroponic systems which may have little to no UV light. Does this modern growing system reduce good stuff in plants. The answer is depends. Depends on the type of lettuce. A study investigated the difference between lettuce grown with UV exposure and without UV. The study looked at two related lettuces Lollo Biodo and Lollo Rosso. Biodo is the green lettuce and Rosso the red lettuce, illustrated in this post. What it found was that the red lettuce. As expected when grown under same conditions the red lettuce has higher antioxidant levels. In fact is has one of the highest levels found in "lettuces. 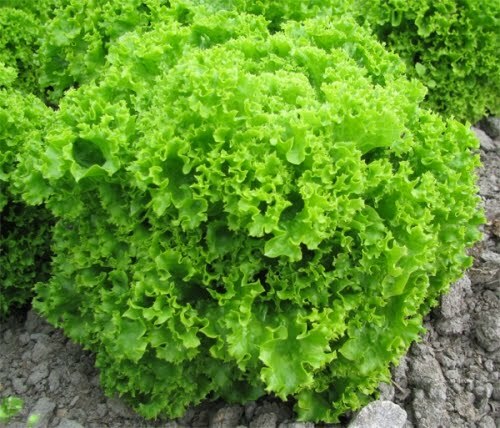 It has a flavoniod level of 207 micro g per gram of lettuce, where as the green Biodo has 95.7 micog/g. To put that in perspective iceberg lettuce only have 0.3 micog/g. 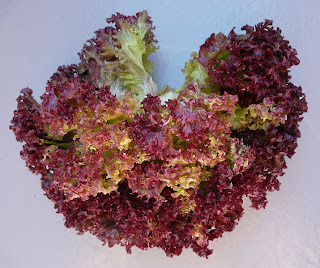 Anyway when grown in the absence of UV light the red lettuce has significantly reduced "total phenolics, anthocyanin, luteolin and quercetin levels"
Now most, if not all, of this lettuce type that I have seen for sale in NZ is hydroponically grown. In hydroponic systems they typically don't have UV light. Thus the lettuce we purchase in the supermarket instead of being a wonder lettuce, is significantly nutritionally reduced. Interestingly enough the green variety doesn't show any difference between UV and non UV exposed growing conditions.